Arts & Humanities Month: Boo at the Zoo! Boo at the Zoo is the largest family Halloween festival in Arkansas. Now in its 20th year, Boo at the Zoo has become a family tradition. Boo at the Zoo features trick-or-treating in a safe environment along with several amenities and attractions including: a hay maze, carnival rides, fair-style food & other concessions, the haunted train, a haunted house for older kids, a costume contest, magic show, Ghost Roast s’mores area, Frankenstein’s Dance Party, and much, much more. Boo opened this year on October 20 and continues through Halloween night from 6pm to 9pm. The Little Rock Zoo began modestly in 1926, with just two animals — an abandoned timber wolf and a circus-trained brown bear. Today, under the leadership of Mike Blakely, the Zoo includes more than 725 animals representing 200+ species, many on the endangered list. A recent addition is the Laura P. Nichols Penguin Pointe exhibit. In addition to the many animals, there is the opportunity to eat at Café Africa and ride on the Arkansas Carousel, a one-of-a-kind Over-the-Jumps antique carousel that is the only fully operational carousel of its kind in the world. 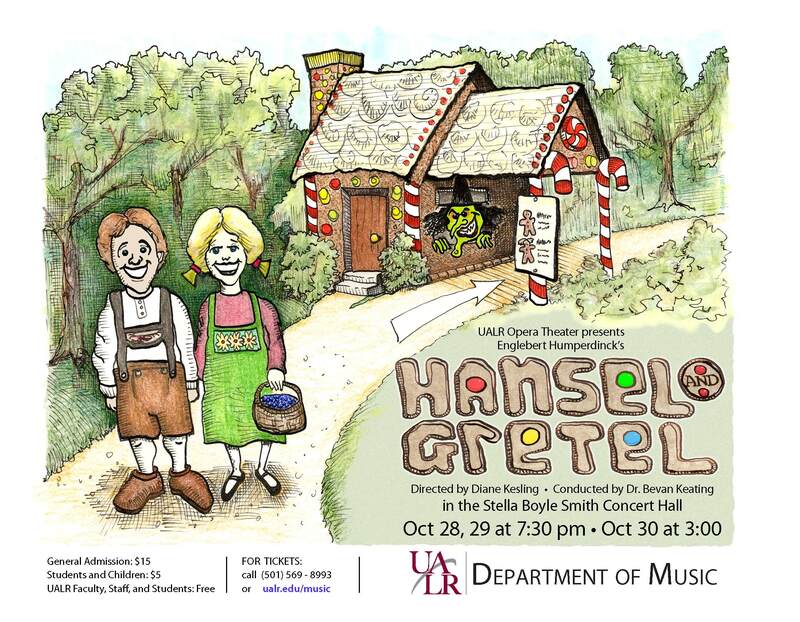 The UALR Music Department presents the Englebert Humperdinck opera Hansel and Gretel today at 3:00pm. Based on the Brothers Grimm folk tale, this production has been transported to Arkansas in the 1920s. The opera tells the story of a brother and sister who set out to find strawberries in the woods, but encounter much more. Their musical journey through the woods comes alive with all sorts of magical creatures, including an encounter with a horrible witch. This witch is not your everyday witch, for she is more clever and charming than most. This production is one of more than 40 performances which the UALR Music Department presents throughout the year. The UALR Music Department offers emphasis in conducting, guitar, instrumental, MIDI, music history, music theory, piano, songwriting and vocal music. Among the various ensembles are the Chamber Choir, Community Chorus, Community Orchestra, Concert Choir, Gospel Chorale, Guitar Ensemble, Opera Theatre, Percussion Ensemble, Trombone Choir, Wind Ensemble and Women’s Chorus. Music majors may take courses in performance study of classical music and jazz, audio recording techniques, computer music MIDI techniques, music history, theory, and composition. Stella Boyle Smith Concert Hall, a 304-seat facility equipped with a Steinway concert grand piano and a Bösendorfer Imperial grand, is the setting for the many concerts hosted by the music department each year. Celebrity Attractions brings the national tour of Shrek to Robinson Center Music Hall. The production opened its Little Rock stand last night and continues through Sunday evening. Originally directed on Broadway by Arkansan Jason Moore, Shrek features a book and lyrics by Pulitzer Prize winner David Lindsay-Abaire and music by Jeanine Tesori. The musical is based on the Oscar-winning DreamWorks film. It tales the story of an ogre, a princess, a talkative donkey, a vertically-challenged prince, and many other fun, lovable characters from fairy tales and nursery rhymes. The national tour is directed by Stephen Sposito and choreographed by Chris Bailey. The design team includes Tim Hatley (costumes and original scenic design), James Kronzer (tour scenic design), Paul Miller (lighting) and Shannon Slaton (sound). The cast is led by Lukas Poost as Shrek, Liz Shivener as Princess Fiona, Andre Jordan as Donkey and Merritt David Janes as Lord Farquaad. The University of Arkansas at Little Rock Art Department maintains three galleries in the Fine Arts building that showcase varied works from visiting artists, traveling exhibitions, competitions, faculty work, and student work. Galleries I and II are located on the first floor of the art building and Gallery III is located on the second floor. During the Fall and Springs semesters, the galleries are open Monday through Friday from 9am to 5pm, Saturday from 10am to 1pm and Sunday from 2pm to 5pm. Currently in the galleries are: Illustrators:53 traveling exhibition from the Society of Illustrators and Senior exhibitions. Brad Cushman is director of the galleries. Dr. Win Bruhl is the Art Department head. The department offers degrees in three tracks – fine art (studio art), applied design and art education. The fine art track offers specialization in drawing, painting, graphic design, illustration, photography, printmaking, and sculpture. The applied design track offers emphasis areas in furniture design, metals and ceramics. The art education track prepares students for licensure to teach art at the kindergarten through secondary school level as well as allowing these students to develop a BFA studio or applied design emphasis. The department maintains a Visual Resources Collection which provides access to a teaching collection of approximately 90,000 slides, a growing number of digital images, and related information resources created to support the UALR Art Department faculty and students. Assistance with classroom presentations and the digital image databases is available to faculty and students by contacting the VRC to arrange an appointment. Another program of the department is the artWORKS Artist Workshop Series which provides a learning community dedicated to creativity and growth through the making and understanding of the visual arts. It is a hands-on learning experience for local, regional, and national artists and artisans, students, and art educators. 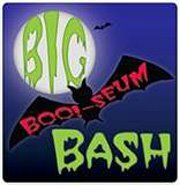 For the 16th year, a number of Little Rock museums have joined together to present the Big Boo!-seum Bash. The 2011 edition takes place tonight. This annual, free event is hosted by members of the Greater Little Rock Museum Consortium and sponsored by the Little Rock Convention and Visitors Bureau. The hours are from 6pm to 8:30pm. Big Boo!-seum Bash is one giant story-telling, trick-or-treating, fun and games evening that is safe and accessible for children and their families. This year’s locations are the Historic Arkansas Museum, Heifer Village, Central High School National Historic Site, Old State House Museum, EMOBA, Clinton Presidential Center, MacArthur Museum of Arkansas Military History and Mosaic Templars Cultural Center. Visitors can drive to each location, where free parking is available. Game cards will also be issued at each site. Visit five of the eight participating locations to qualify for a prize drawing collected from the participating museums or visit seven of the eight participating locations to qualify for the grand prize drawing. Visitors are encouraged to support the Arkansas Foodbank by brining non-perishable food items to enter for a chance to win prizes. Located in the historic Arsenal Tower in MacArthur Park, the MacArthur Museum of Arkansas Military History honors the Arkansans who have served in the armed forces. Exhibits feature artifacts, photographs, weapons, documents, uniforms and other military items that vividly portray Arkansas’s military history at home and abroad. The newest exhibit is “A Splendid Little War: Arkansas and the Spanish-American War” which runs through April 2012. It explores America’s role in the brief war with Spain over territory, the destruction of the “USS Maine” and the many Arkansans who volunteered for service during the war. On display are uniforms, weapons, a battle flag from the 2nd Arkansas Volunteer Infantry, memorabilia surrounding the war and many other artifacts used by Arkansans serving in the war. The MacArthur Museum of Arkansas Military History is a museum of the City of Little Rock. It is led by executive director Stephan McAteer who works with the MacArthur Military History Museum Commission. The museum is open Tuesday through Friday from 9am to 4pm, Saturday from 10am to 4pm and Sunday from 1pm to 4pm. The newest museum of the Department of Arkansas Heritage, the Mosaic Templars Cultural Center is located at Ninth Street and Broadway in downtown Little Rock. The Center is located in a site that was once the hub of Arkansas’ African American life and culture. The Mosaic Templars Cultural Center The museum is dedicated to collecting, preserving, interpreting, and celebrating African American history, culture and community in Arkansas from 1870 to the present, and informs and educates the public about black achievements – especially in business, politics and the arts. Through special events, outreach and exhibits such as the Arkansas Black Hall of Fame, the museum celebrates Arkansas’s African American heritage. The roots of the Mosaic Templars Cultural Center date back to 1992 when a group of concerned citizens fought to save the Mosaic Templars of America Headquarters building from being demolished. The building had been built in 1913 as one of what would eventually be a three-structure complex which was home to the Mosaic Templars of America organization. 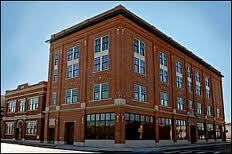 In 1993, the City of Little Rock purchased the building in order to save it. In 2001, the structure became property of the State of Arkansas and the fourth museum of the Department of Arkansas Heritage. While renovation plans were underway in March 2005, a fire destroyed the historic structure. But the State, City and other supporters worked to ensure that the museum facility would be rebuilt. Using the original design as inspiration, the new museum opened in September 2008. 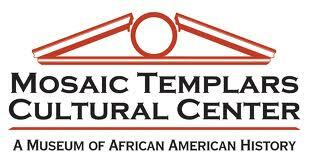 The Mosaic Templars Cultural Center is opened Tuesday through Saturday from 9am to 5pm.